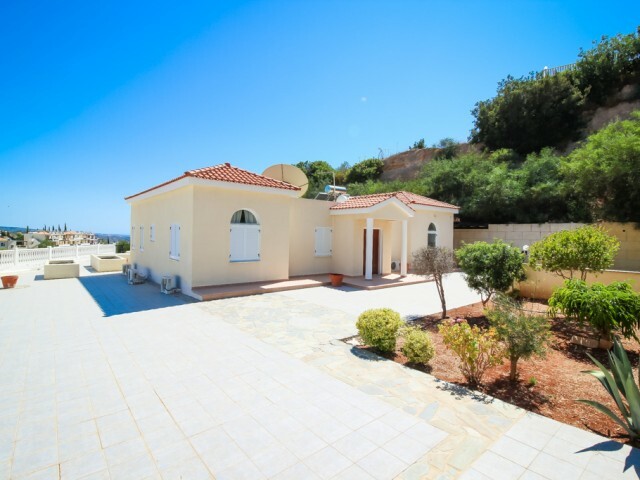 Villa in Paphos with a large garden and fruit trees. Large swimming pool. All rooms have air conditioning, central heating. All bedrooms have built-in wardrobes, master bedroom with en-suite bathroom. The famous beaches of Coral Bay is a 5 minute drive away. Panoramic views of the sea and the mountains. In walking distance of all the necessary infrastructure.